it been a week since my last post. and this time its gonna be about gym too. i guess most of my post will be talking about my gym routine for 1 month since i am addicted to gym lately. wahaha. that's was a big question mark for me too last 2 weeks ago, that's why i decided to join the class. emm.. it's actually a dancing with combat movement. 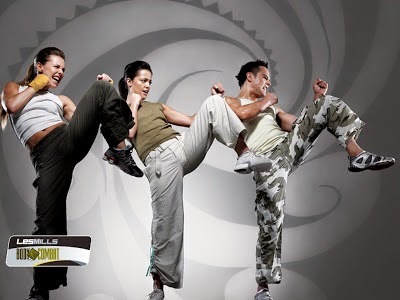 inspired by martial art move and it can burn a lot of calorie in one class. you gonna have to kick and punch the air for an hour with some music. which i find it fun at first. but 5 minute of kicking the air, i can't go on anymore. but after one hour you'll smile for all the sweat!! like this. the right way to kick! lean your body backward a little and kick! 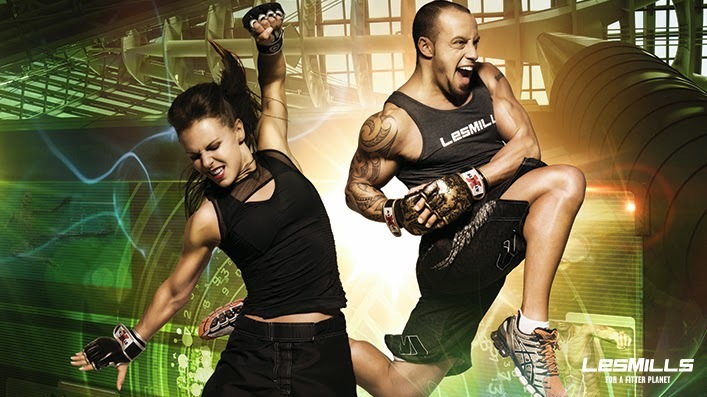 that's what i learn from the body combat class. they will teach you how to punch with the right technique. wow! and how to jump awesomely! cool kan. picture from google. okay, now the moment of truth. all of the picture look cool right? but i don't look that great when i first attend the class. emm..of course when i kick, i feel like 'wow,i'm feel so cool man'. just like the picture above but when i look in the mirror, gosh, i look terrible. like a robot trying to get out from the cage! but of course, practice makes perfect. as for me, i think i am more into the yolates, abs and pilates class with all the aunty. good news is all the aunty seems to know me already. they greet me like their friend. and oh ya, i met one of the gym instructor last week. too bad i can't remember his name and he voluntarily show me how to use all the gym instrument and teach me basic things about body builder! wow. he knows a lot about muscle! and i also get a chance to talk to this ex-laywer uncle. he advice me not to work longer in psychiatric department. "it's not a good thing to be surrounded by the bad aura for a very long time"
the main point is, i actually started to make some friends at gym. you know the feeling when you enter the gym and someone started to actually greet you. okaylah. that's all for today. 8 reason why we(girls/women) cheat.